The Camino del Sureste shares 10 of its stages with the Ruta de la Lana and the Camino de Levante. 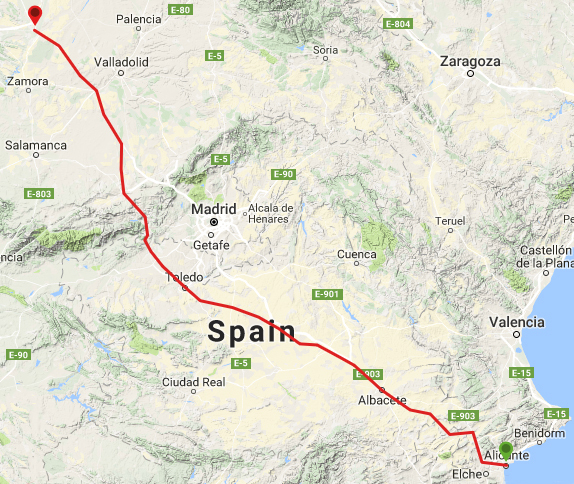 Indeed, many consider the Sureste and Levante as variants of each other, leading some to interchange periodically between one camino and the other. Alternatively, others walk both caminos between common waypoints in order to be able to compare and contrast them.